We Are Your Go To Source For Conveyancing Fee Comparisons. Instantly Compare The Online Conveyancing Market And Find Your Conveyancer In 30 Seconds For FREE. When You Are Ready You Can Instruct Or Book A Call To Discuss Your Quote. Are you moving home? Buying, selling or remortgaging your home in England and Wales? You can get an online instant fixed fee residential conveyancing quote from an impartial, accredited licensed conveyancer or solicitor, in an area where your property is located. To choose your best value local Conveyancing Solicitor you must compare both conveyance fee and the quality of service. You want the legal process managed by an efficient property lawyer to get to completion as fast as possible when buying, selling or remortgaging your home. Service comes before cheap, low cost fees as you need the very best legal expert acting for you. Use our comparison tool to compare conveyancing quotes and find a Solicitor for conveyancing. 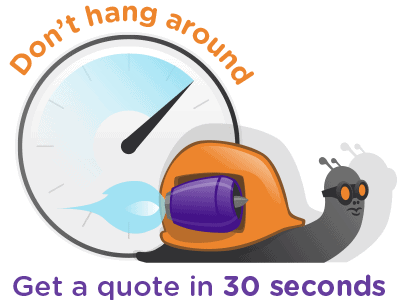 All Our Quotes Are Fast, Free And With No Obligation. Get A Quote And Get Moving Today. With the introduction of an increase on Stamp Duty for Buy to Let Investors it is time to focus on getting a fast completion together with the stamping out of gazumping. Buy to let investors can quickly compare competitive conveyancing quotes online using our fast Conveyancing Supermarket quote calculator. They save both time and money by using our Investor savvy search filters. The armchair investor can find a Conveyancer online, focus on the costs and locate a best value Conveyancing Solicitor that understands their legal needs all in an instant. Each conveyancing quote fully details the Solicitors fees and disbursements. You can view and compare online and then when ready you can book a call from your Conveyancer. We also use a new build search pack. Coming soon is our legal pack that stops gazumping which we will be introducing to Developers that see the need to get to exchange fast. Fast completions, minimal fuss and an armchair solution. Price and service combined to provide the best deal for your legal needs. You can even filter by mortgage lender as we know that some stipulate that you must use a Conveyancer that has been approved by them. Should I use fixed price conveyancing? When you are looking for a solicitor for residential conveyancing, ensure that they offer you a fixed fee quote. This way you know the exact legal fees you will pay if you are selling your property, buying a property or remortgaging your property. Exciting times for First Time Buyers! Buying your first home can be daunting but If you have seen your Mortgage Adviser and you know what you can afford then you can look forward to finding your first property. A flat, apartment or maybe a house could be yours. You can compare conveyancing quotes and find your Conveyancer using our quote engine. Then when you are ready you can book a call from your chosen Conveyancer so that you can get to exchange of contracts as fast as is possible. If you think it’s a great deal then others will as well – we make it a point that our solicitor’s conveyancing fees are accurate and up to date at all times So plan ahead and choose your Conveyancer. You can get a fixed conveyance fee quote online. Once you have had a call and you are happy to instruct then you need to return your signed client care letter. Remember to ask what an achievable exchange date is. It is important that the vendor / seller understands what you are aiming for as your exchange date. Buying a New Build? Many buyers spot a new build apartment or house that could also be a buy to let investment. This means that if you want it as your home you need to act quickly and meet the exchange date demands of the developer. Developers often ask for a quick exchange. 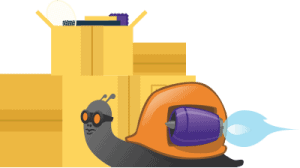 You can, however, speed up the search process by finding and instructing your solicitor online. All of this is part of our online conveyancing services. Your Conveyancer can order your searches on the day you instruct. Your Conveyancing Solicitor will start the process once you have returned the signed client care letter and some ask for money on account. If you start the process promptly then you will minimise the risk of the purchase falling through. Ensure that you understand before you reserve the property, what deadlines are expected for exchange of contracts and for completion. Conveyancing Supermarket allows you to instantly compare conveyancing quotes from an extensive database of Licensed Conveyancers and Property Lawyers across the UK. Whether you are buying or selling, the free tools on Conveyancing Supermarket will help you make clear and informed decisions on conveyancing fees.